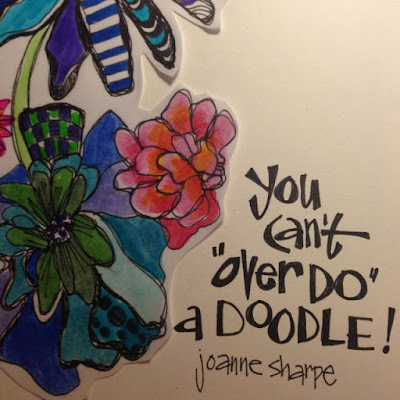 ...you can DOODLEY-DO this with us! ...we are having a bloomin' blast!! Let's doodle, draw, letter, collage, paint and hand stitch the FLOWER THEME! Content will remain open for any time access in internet "foreverland". Enjoy this video to see what I have planned. Click on the link below, make your payment and you will be granted immediate access to my Ruzuku classroom. The supply list is in the WELCOME lesson already posted. HOPE TO SEE YOUR CREATIVITY BLOOMING IN OUR ARTFUL GARDEN!